In this article, we’re going to discuss Meibomian Gland Dysfunction, or MGD, which is one of the diseases that affect the health of your eyes. It is recognized by the International Classification of Diseases (ICD) as a disorder of the eyelid. We’ll talk about what the dysfunction is, how it compares to other dysfunctions concerning the eye, and what causes and symptoms exist. Finally, we’ll introduce at-home and in-clinic remedies you can try if you find yourself suffering from Meibomian Gland Dysfunction. So whether you’re suffering from some of these symptoms yourself or know someone who is, keep reading to find out more. Many of us take our sight for granted. Though we marvel at the wonders of the world around us and gaze upon amazing sights each day, we don’t often stop to think what it might be like if we weren’t able to see. 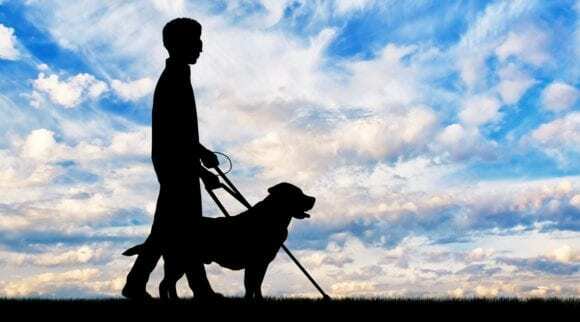 We may not even know how valuable the gift of sight is to us until we lose it or know someone who’s lost their eyesight. The power of sight can be mighty. However, poor sight has a great impact on our daily lives and can cause a variety of problems. We aren’t as productive and we may even become a safety hazard if we choose to drive or operate machinery. There are many people who suffer from poor eyesight, the kind not fixed by glasses or contacts. These people struggle on a daily basis to address their issues, but it’s not as easy as putting in a few eyedrops each morning or night. We’re talking about diseases and dysfunctions that impair sight and can sometimes lead to blindness when not addressed with a sense of urgency. Before beginning any serious treatments, it’s always best to consult a doctor, even if it’s just for a second opinion. The eyes are a very delicate part of the body, so any actions you might take may or may not be safe. Discuss your plans with a professional and you might find that they’ve got some ideas for you as well. 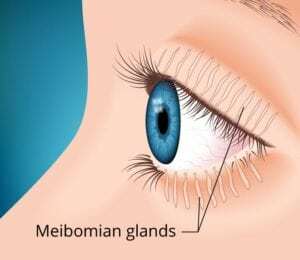 We’ll get into the nitty-gritty details of Meibomian Gland Dysfunction later on, but first, let’s talk about what Meibomian glands are and how they function properly. As you might have guessed from the word “gland,” the function of this particular part of the eye is to secrete a liquid, specifically oil. This is not unlike your adrenal glands, which produce adrenaline, or the pancreas, which secretes digestive enzymes that help you process the contents of your stomach. When primed, these glands produce a specific liquid, which is used to accomplish a specific task. The task of secreting oil onto the eyeball was first described by Heinrich Meibom in 1666. The German doctor drew his findings and much of what we know about these eye glands comes from his work. Thus, the name “Meibomian Gland.” There are roughly 25-40 Meibomian glands in your upper eyelid and 20-30 in your lower eyelid. In total, most people have roughly 90-140 Meibomian glands. That’s quite a lot! Meibomian glands secrete oil onto the surface of the eye in order to keep tears from evaporating too quickly. In effect, your Meibomian glands are taking advantage of the fact that oil does not mix with water and using it to your body’s advantage. 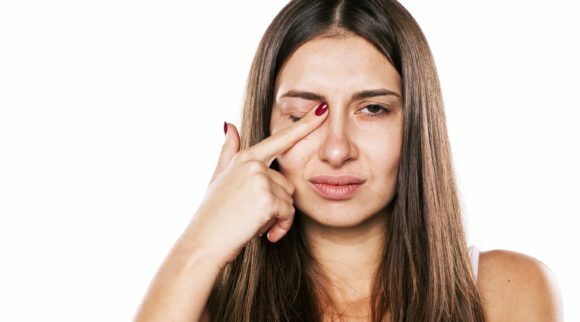 Because if your tears dry up too quickly, they are not able to lubricate your eyeball, which functions best when it is able to easily move around in your eye socket. Functioning Meibomian glands are crucial to healthy eyes and clear vision. Though the amount of oil secreted by each Meibomian gland is near in size to the tip of a pin head, as we mentioned, there are quite a few of them on the upper and lower eyelids of each eye. Each one must function properly, however, in order to keep your eye functioning properly. Lubrication is key to seeing well and keeping your eyes healthy. Now that you know what the Meibomian glands are supposed to do, let’s now take a look at what happens when they malfunction. Though we’ll just discuss what Meibomian Gland Dysfunction (MGD) looks like in the next section, keep reading to learn more about how you can treat MGD at home, and what options you can discuss with your ophthalmologist. 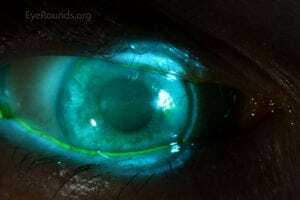 When they function properly, Meibomian glands secrete oil, but when they malfunction, that oil can be of poor quality or just not enough altogether. This is not good for your eye health or your vision. Step back from our discussion and consider a car for a moment. Even if you don’t know much about cars, you should know that automotive engines need oil to work properly. When that oil is not the right consistency, the engine suffers. When there is little to no oil, the engine really suffers. The oil is there to lubricate the metal engine parts, but when they’re not properly lubricated in oil, they rub against one another and can cause serious damage. This theory and process holds the same for your eyes. Tears keep your eyeballs moist and moving properly in your eye sockets. Your eye must be able to glide across this layer of tears in order to see in different directions and focus upon tiny movements. When the Meibomian glands, which are responsible for lubricating your eyes, are not working properly, your eyes become drier and drier. Clogged or blocked Meibomian glands can create a snowball reaction very quickly. Blocked or clogged Meibomian glands most often cause Meibomian Gland Dysfunction. The oil is not able to make its way onto the eyeball for whatever reason and remains stuck within the gland itself. This buildup of fluid can cause swelling, irritation, and many of the symptoms associated with MGD. When out of service for too long, Meibomian glands can actually cause the tear film to change and the eye to become incredibly dry. Meibomian Gland Dysfunction is also known as “meibomianitis,” and is a type of blepharitis. Often, Meibomian Gland Dysfunction can be dismissed or confused with dry eyes as well. How can you be sure that it is Meibomian gland dysfunction you’re experiencing? Let’s take a closer look. 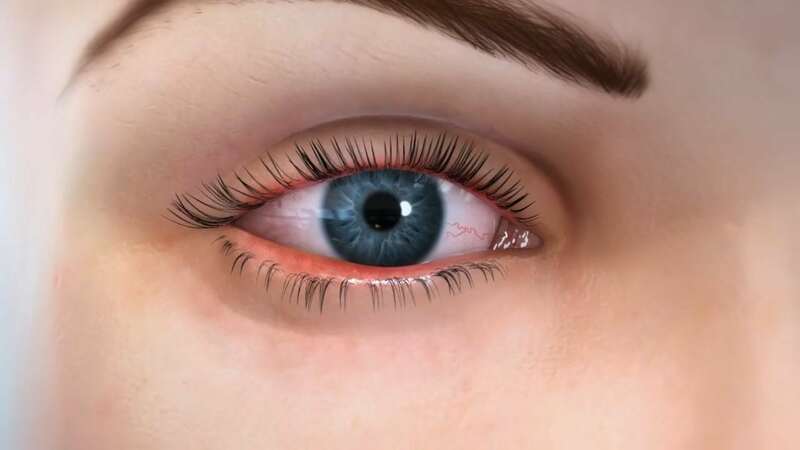 The American Optometric Association classifies blepharitis as “an inflammation of the eyelids” with symptoms like redness, irritation, itchiness, and “dandruff-like scales” which attach to the eyelashes. 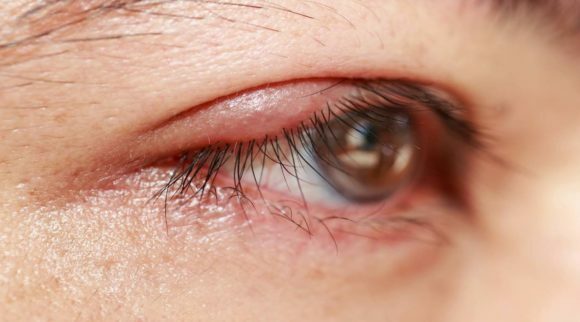 Experts at the AOA note that the cause of blepharitis is most likely bacteria or dandruff. Common among all ages, blepharitis is not contagious and often only requires a stricter personal hygiene routine and time to treat. 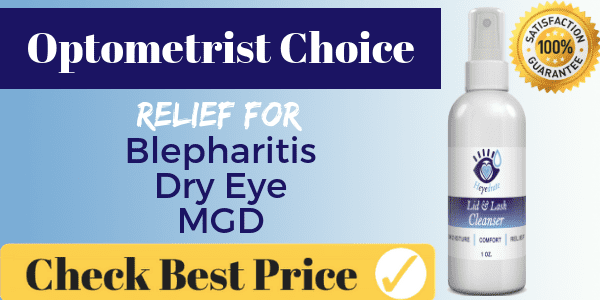 However, Meibomian Gland Dysfunction is also often referred to as “posterior blepharitis.” This is the same thing as the MGD we’ve been talking about, just with a different name. In reality, the term just clarifies where the symptoms of the blepharitis are occurring, though dandruff gets removed from the picture. As we talked about, the Meibomian glands are not performing at their best, so this is the cause of the issue. It might seem odd to have two separate terms for a similar condition, but clarification and specification are often the key differences between one treatment and another. 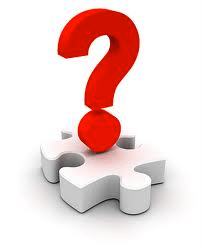 It’s important to understand the real cause of your symptoms in order to choose the correct next steps because treating the source of the problem should always be the goal. Misdirecting treatment only lengthens your recovery time. Part of understanding the treatment of Meibomian Gland Dysfunction is tracking down what caused the dysfunction in the first place. The next section discusses some of the findings doctors have been able to share in terms of what causes MGD. Some causes are avoidable, while others simply come with time. There are a lot of factors that play into how susceptible you are to Meibomian Gland Dysfunction. Some conditions simply put you at a higher risk, while others can directly cause MGD if not addressed in a timely manner. Age: Suggests that a person’s risk for MGD increases as they age, with those over 40 at the greatest risk. It makes sense that 40-year-old body parts don’t work as well as 25-year-old body parts do. While it is natural for the body to lose functions as we age, there are treatments that can prevent the progression of Meibomian Gland Dysfunction. Heritage: Members of particular national heritages are more prone to certain conditions than others. Studies have found that many Asian populations suffer from MGD but this dysfunction also affects those of Caucasian heritage. Different ethnicities vary in terms of eye shapes, so certain populations can be more affected than others. Lack of personal hygiene: Anyone who wears makeup can theoretically have problems with their Meibomian glands. In particular, those who wear large amounts of eye makeup are at a higher risk of Meibomian Gland Dysfunction than those who don’t. However, an overall lack of cleanliness can lead to MGD as well. 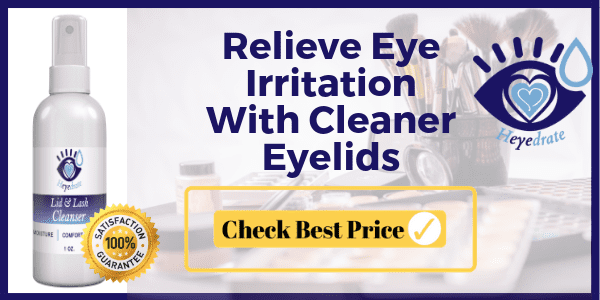 The most important thing to remember is that Meibomian glands must secrete healthy oil on the eyeball in order to function properly, so if this act is not achievable for personal health reasons, those issues need to be addressed immediately. 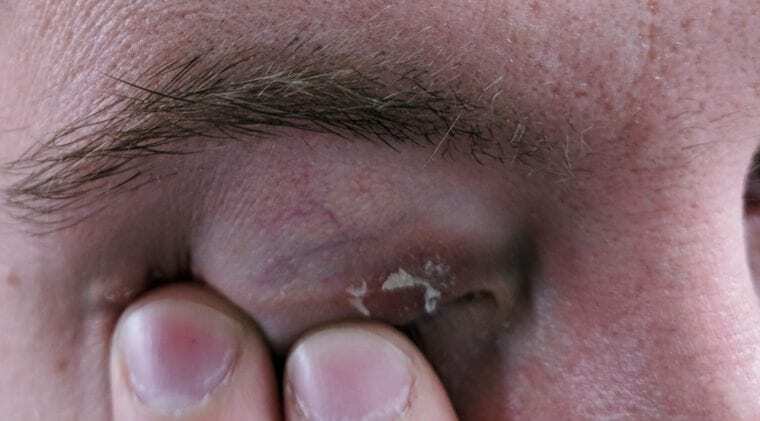 Contact lenses: Any product that affects the eyelids or eyeball naturally will impact the Meibomian glands, so it’s easy to see why contact lens wearers might be at a higher risk. After all, the contact is a piece of material that does cover part of the eyeball. However, it’s not clear whether the Meibomian glands are affected by contact lenses or not. If you find yourself in one of these groups, or are still experiencing symptoms of what you think might be Meibomian Gland Dysfunction, keep reading. We’ve gathered a list of common symptoms that might point to a diagnosis of MGD. However, please consult your eye doctor before beginning any regimens or routines. Better health and wellbeing begins with changing bad habits, but consideration of your entire body and the overall spectrum is critical. There may be other forces at play that you’re not aware of, so it’s always a good idea to seek a professional opinion, even if it’s just a second opinion. When you speak to a professional, however, we’ll discuss some symptoms you might mention, if they fit what you’ve been experiencing. 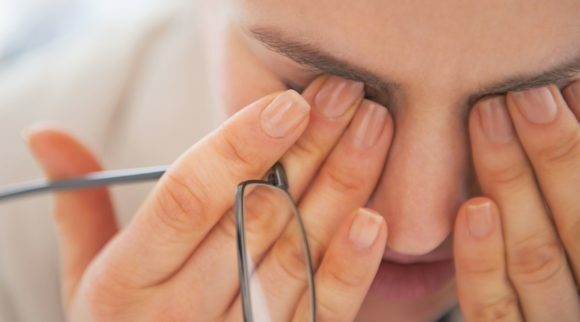 These symptoms aren’t a sure sign that you’ve got Meibomian Gland Dysfunction, but they can be a start to diagnosing and pinpointing what’s causing your eye health problems. 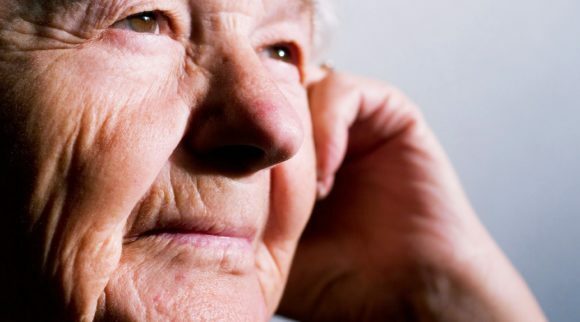 Review of Optometry’s website states that: “Menopause or aging, and medications such as antihistamines, antidepressants, certain acne treatments and postmenopausal hormone therapy also have been shown to play a role in MGD.” Experts at Review of Optometry note that the technology we use on a daily basis plays a huge role as well. We blink less often and less fully when confronted with a computer screen, so not only are our eyes not being lubricated as much as they should, we’re also not expressing the Meibomian glands completely to release the helpful oils. These two factors can compound into MGD. 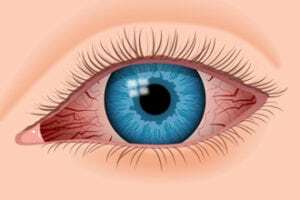 Visible signs of Meibomian Gland Dysfunction include “white sebaceous material, a cornea that exhibits a decreased tear break-up time, or both.” Patients who have MGD will wake up with dry or gritty eyes in the morning with symptoms lessening as the day goes on. Patients who sleep in their contacts or who wear their makeup to bed are understandably at a higher risk because, while the eyes are closed, these foreign materials are not able to move around, and in the case of makeup, be discharged from the eye to maintain proper lubrication. If you’re experiencing some or any of these symptoms, you might be suffering from Meibomian Gland Dysfunction. However, you should always check with your eye doctor before taking any further steps. The problem could simply be that you have dry eyes, or there could be more at stake. Check with your doctor before beginning any type of regimen, just to be on the safe side. In fact, they may be able to direct you towards a specific product or particular process that has worked best for their patients in the past. If you’re curious as to how to treat Meibomian Gland Dysfunction, take a glance at the next section. We’ll mention some at-home treatments that can be affordable and effective, as well as specialized procedures and products that doctors use in their offices to combat MGD. There are many ways you can combat MGD, but as always, be careful. Your sight could very well be at risk. Responding to the symptoms of Meibomian Gland Dysfunction requires patience and persistence. It may be hard for some people to accept this, as we use our eyesight in almost anything we do on a daily basis but establishing and adhering to a regimen is key. Here are some home remedies you can purchase to try. They’re relatively affordable and take little time out of your busy day to implement in your healthy-eye routine. Cleaner, healthier eyes are just a click away! 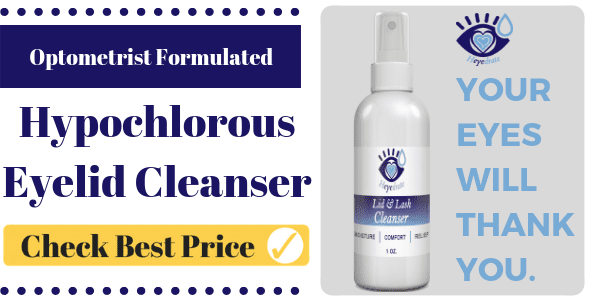 Made here in the United States of America, this lid and lash cleaner is a must if you’re looking to keep your Meibomian glands healthy and free of blockage. A 1-month supply only costs you $15, which is much cheaper than a visit to the eye doctor every 4 weeks. This product is easy to use and only takes about 5 minutes each morning and every night. Best of all, the Heyedrate Lid & Lash Cleaner is alcohol and fragrance free, so you won’t have to worry about irritating your already-red eyes. There are no parabens, sulfates, or preservatives. Derived from a hypochlorous acid formula, the lid and lash cleaner is hypoallergenic. For a natural complement to your body’s own healing processes, try a 1-month supply of our lid and lash cleaner today. The product was originally used for antibacterial wound care but does wonders to clean dirty, red, and irritated eyes in need of serious soothing. If you don’t use it all in 1 month, that’s okay! The product has a 2-year shelf life that will keep your eyes clear and clean for months. To use the Heyedrate Lid & Lash Cleaner, begin by cleaning your eyelids of any makeup or unwanted materials. Close your eyes and spray your eyelids with the cleansing solution. Gently rub the solution into your eyelids and lash margin. If you don’t want to irritate your eyes further, you can simply spray your closed lids and allow the solution to dry. No need to wash it off! In fact, this Lid & Lash Cleaner from Heyedrate is so effective, it can be used anywhere on the body to fight against infection. Simply follow the steps above, directing spraying onto the affected area. If your needs are immediate, check out this next product from Heyedrate as well. It’s always good to get in the habit of keeping your eyes clean. But when push comes to shove and you need relief fast, there’s a warm compress mask waiting to soothe those sore lids. For only about $20, you too can experience relief from Meibomian Gland Dysfunction. 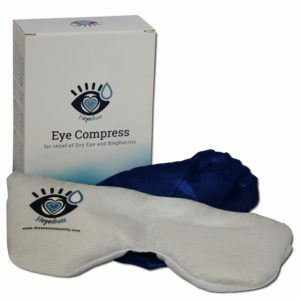 This warm compress mask from Heyedrate is designed to treat dry, burning, itchy, sticky, and crusty eyelids that irritate eyes and can often cause light sensitivity. The mask itself is reusable. Simply hand wash the outer cover with hypoallergenic soap and warm water, allow to dry, and it’s ready to go! To use Heyedrate’s Dry Eye Warm Compress Mask, first heat it in your microwave to your desired temperature level (usually 15-20 seconds). Be careful! The mask will heat up quickly, so remove it from the microwave carefully, using hot pads if necessary. When you can touch the mask with your finger and hold it against the material for at least 5-10 seconds, place it on your face, removing if the heat becomes too much. Once the mask is applied to your closed eyelids, leave it on for about 20 minutes for the full effect. Alternatively, you can also create a cold mask with this versatile product from Heyedrate. Simply place the mask in the freezer for 2 hours. Remove it when you feel it is cold enough. Again, make sure you can bear the cold of the mask before leaving it on for about 20 minutes. Repeat the process as needed to obtain the best results. If you find that your Meibomian Gland Dysfunction isn’t completely soothed by these products, there may be clinical treatments available at your eye doctor’s office. Let’s take a closer look at what some of those might be, and the processes involved. It’s always best to speak with your eye doctor over the phone before scheduling an appointment or dropping by, as some machines require setup and some doctor’s offices don’t take walk-ins. The good news is that relief from Meibomian Gland Dysfunction (MGD) is within reach. There are a number of methods out there that have worked for a variety of patients, so discuss your needs and see what solutions you and your doctor can come up with. The first step in treating Meibomian Gland Dysfunction is actually diagnosing it. Even though you may fit into our broad categories of causes and show signs and symptoms of Meibomian Gland Dysfunction, you’ve got to bring your findings to a professional before you can begin clinical treatment. 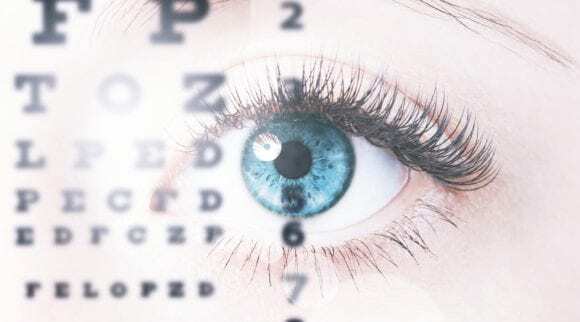 After you’ve made the appointment and arrive at the eye specialist, you’ll most likely undergo an exam that begins with typical tests you might take at an annual eye exam. If the eye professional feels your case requires more testing, they will usually perform one or more of a number of tests out there to detect Meibomian Gland Dysfunction. Many, if not all, of the tests require expressing, or actuating the Meibomian glands in your upper and lower eyelids. Let’s take a closer look at why this is necessary and what the results can mean for you. What is Meibomian Gland Expression? According to the Review of Optometry, the oil produced by healthy Meibomian glands is the consistency of olive or baby oil. The clear sheen of this healthy oil is contrasted by the cloudy spurts of oil produced by infected or blocked Meibomian glands. When the MGD is very severe, the oils will even have a toothpaste-like consistency. Determining where your Meibomian glands fit in this spectrum requires that doctors express, or compress the glands themselves, just as your eyes would when you blink. They then look at the oil produced, from the look to the consistency to the amount that is expressed. While it may seem like an easy task, just blinking for your doctor, they actually need to see the oil before it adheres to your eyeball. So, there are some special tools involved in expressing your Meibomian glands. If you’re unsure about how Meibomian gland expression works, we’re going to talk about it in-depth below. We’ll introduce you to a revolutionary new testing device that allows eye doctors to express your Meibomian glands next, but there are some lower-tech options that produce similar results. In fact, your eye doctor might use Q-tips to apply pressure to your eyelids or use what’s called a Mastrota paddle. These devices simply put pressure on those Meibomian glands to express them, allowing your eye doctor to see how healthy the oil within is. Because Meibomian gland expression can be a rather personalized experience, the experts at TearScience have come up with an instrument that allows professionals to provide “a standardized, repeatable evaluation of meibomian gland function.” Since pressure is needed to express, or purge the Meibomian glands of their oil, how can you replicate the same amount of pressure on each patient, even with the same optometrist or ophthalmologist? TearScience has the answer. Their Meibomian Gland Evaluator (MGE) applies “the pressure of a deliberate blink” while the doctor observes what the Meibomian glands produce upon expression through what is called a slit lamp. This lamp is used by many doctor’s offices and requires the patient to rest their chin and forehead upon a surface while a bar of light is directed into the eye by the doctor. If you’ve ever had your eyes checked, you’re probably familiar with this type of lamp! With such a simple procedure that requires no special dyes or eyedrops, the MGE is a valuable tool for clinicians. Since expression takes only a few minutes at a time, it’s a test that can easily be added to a typical yearly eye exam. The MGE is best used over time, to track patients’ Meibomian glands and detect dysfunction at the first signs. Especially in the case of eye specialists, who typically only see their patients once a year or maybe every couple of years, the Meibomian Gland Evaluator is a handy tool that can save eyes with just a blink or two. 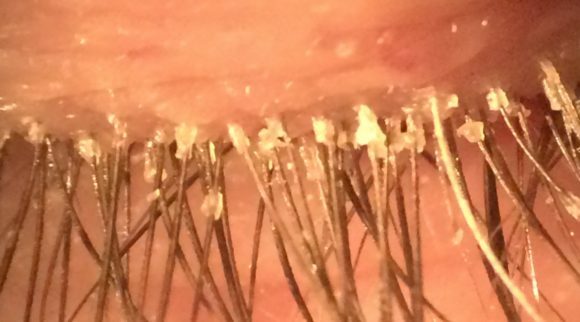 The MGE is just one of many applications used to detect Meibomian Gland Dysfunction, as you can see. If you’re unsure about the entire process and want to see how the device is used, check out TearScience’s website. They’ve got interactive content including a video on how the device is used in the office, pictorial comparisons of healthy versus unhealthy Meibomian glands, and a Meibomian Gland Dysfunction fact sheet you can download as well. It’s great to be prepared and knowledgeable about your options before you begin any treatment. Another test that can be used to distinguish Meibomian Gland Dysfunction is called the Tear Breakup Time test (TBUT). To perform this test, the eye doctor will dye your tear film with specialized eye drops. Looking through a cobalt blue light, the eye doctor will be able to tell if your tears are breaking up and evaporating as they should or not. As you might imagine, normal eyes will react differently than those suffering from MGD. Talk to your eye doctor for more information. After you’ve received the MGD diagnosis if applicable, there are a few different systems out there that you and your eye doctor can discuss. Before we dig into those treatments, however, there is a device we’d like to introduce that aids clinicians in diagnosing and tracking MGD. If you’re concerned about validating the results of your visit to the eye doctor, this next device is also a great way to get measurable results you can depend on. Though Meibomian gland expression is the best way to diagnose, stimulate, and evaluate proper oil production, clinical-strength solutions might be required. Depending on how bad your dry eye and/or Meibomian Gland Dysfunction is, adding eye drops to your routine may help tear production and aid in lubricating and protecting your eyes over time. While there are eye drops available over-the-counter, in many cases these eye drops are not strong enough or do not have the correct solution formula to provide the best results. Experts will often recommend Restasis or Xiidra. Both are prescription-strength ophthalmic solutions that fight inflammation, redness, and many of the other symptoms of dry eye. There are also products like TrueTear, which stimulate the nose to create more tears. 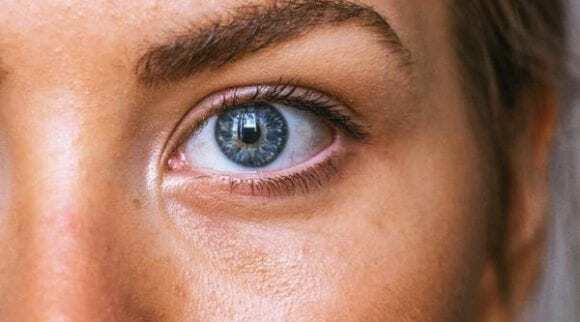 While these are all great home remedies you can try if you’re suffering from dry eyes, they’re not going to address the root cause of Meibomian Gland Dysfunction. However, they can help in reducing the symptoms of MGD and preventing further blockage from occurring. One of the most extensive treatments out there for MGD is called LipiFlow. It’s actually a device that attaches to the eyelid and provides a heated massage to your Meibomian glands. It’s only a 12-minute procedure and it’s relatively painless for most patients. If you’re curious to learn more about LipiFlow, talk with your doctor and see if they offer the procedure or know someone who does. Ask them about pros and cons of the LipiFlow system if they’re knowledgeable. Some treatments aren’t for everyone, but if relief is your goal, LipiFlow might be a great option. Is Meibomian Gland Dysfunction Curable? Professor Chris Lievens teaches at the Southern College of Optometry. 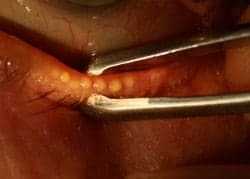 He spoke in March of 2015 to Optometry Australia and stated that, though many ophthalmologists had considered truncated Meibomian glands to be “forever dysfunctional,” they were actually seeing some glands regrow and function properly again. Professor Lievens works with his patients on blinking exercises to stimulate the Meibomian glands and improve lubrication of the eye but finds it fascinating that the Meibomian glands may be able to revive in such a manner. There are also small studies being done on LipiFlow that have shown that regeneration of the glands may be possible. There is still not a lot known about Meibomian gland dysfunction, but as the symptoms are becoming more and more prevalent and larger amounts of patients are experiencing the same issues, research will inevitably lead us to easier, better solutions. 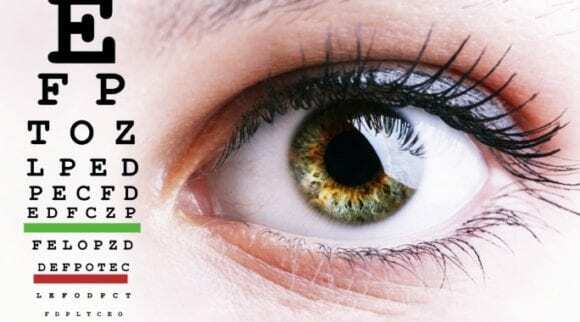 The health of your eyelids and eyes is crucial to functioning fully and though there are those that function without their sight, such a loss cannot be so easily dismissed. We encourage you to reach out to your local eye physician if you feel you are having symptoms of Meibomian gland dysfunction. Discuss with them what treatments they recommend and finally get the help you need to diagnose, treat, and recover from Meibomian Gland Dysfunction. Cleaner, clearer sight is just a doctor’s visit away!